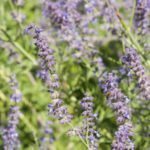 Even experienced gardeners can get a disease or pathogen in the garden that they can’t identify or treat. White mold is one of those sneaky fungal diseases that can strike quietly and take over a planting bed without any notice. What is white mold? We’ll explore some white mold information and tips on how to identify and treat this quiet but deadly disease. 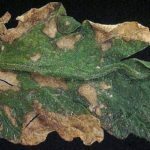 Fungal diseases come in all shapes and sizes, but white mold is one of the more common varieties that affects food and flower crops. In fact, it affects more than 400 species of plants, with the broadest impact on economic crops. The symptoms of white mold can mimic many types of disease. It is not until you get up close and identify its mycelia that a confirmed diagnosis can be made. And by then it is too late for that plant, and its neighbors may also be infected. Garden vegetables and many flowering annual plants are often affected by white mold. What is white mold? The symptoms of white mold include leaf die off, stem wilt, and white fluffy growth on affected plant material. This develops into sclerotia, black hard, pencil size structures on diseased plant parts. Over time, plant death occurs. White mold is most prevalent in warm, moist conditions, especially when plants are overcrowded and have not been rotated. Sclerotia overwinter in soil and reproduce in mild, wet weather. The sclerotia have been known to live in soil for up to 5 years. The diseased spores can even blow in from a neighboring field. Other names for the disease are white canker, watery soft rot, timber rot, damping off, pink rot wilt, crown rot and several other descriptive names. This fungal disease can be quite difficult to treat, as symptoms of white mold initially mimic many other plant problems. Once white mold is in a garden site, it usually shows up annually, due to the spore’s ability to overwinter in fallen plant debris and soil. Flowers and damaged plant tissue are often the first to be colonized by the disease. Spores spread not only by wind, but also through insect activity and rain splash. Plant material left behind from previous year’s harvest are often the culprits of initial contaminants. There is no approved white mold treatment. Once a plant has the disease, you can try to prune the plant to below infected material and apply a fungicide. However, there is very limited success with this method unless the disease is caught very early. It is best to remove the plant and destroy it. Since there is no effective white mold treatment, it is best to try to prevent the disease. Experts on how to treat white mold suggest crop rotation and cleaning up previous season plant debris. Use plants that grow upright rather than crawl on the ground and ensure plenty of air circulation. Water in the morning deeply with soaker hoses or drip irrigation. Do not compost infected plants, as most compost situations will not heat up sufficiently to kill the sclerotia. There are also biological controls available. The most prevalent is one containing the fungus coniothyrium minitans. It is a natural control but not registered in some states for use.